On a recent work trip to Hyderabad, I planned to spend an extra evening to visit a dear cousin. 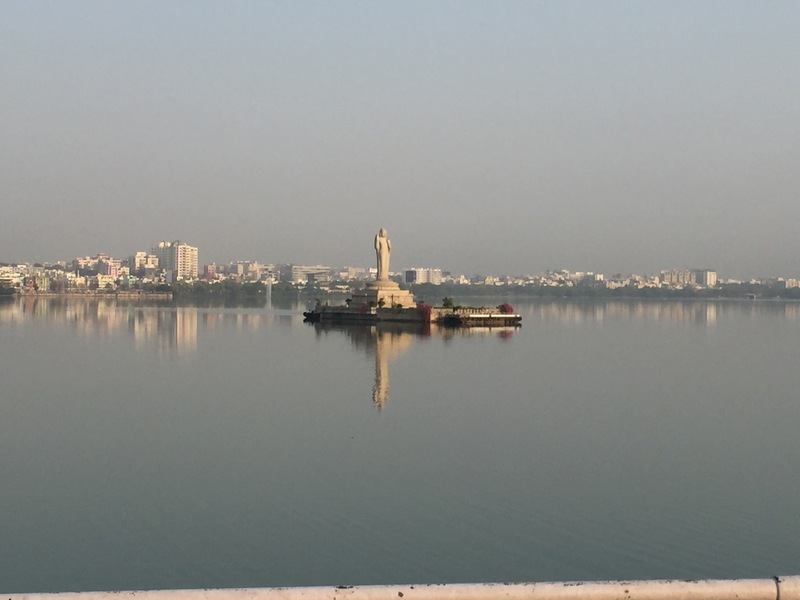 And as I was looking at Google maps to instruct the taxi driver, I realized that they lived fairly close to Hussainsagar. This is the iconic landmark of Hyderabad and among the few memories I retain of the few weeks I spent in the city during the 1970s, when my parents lived there for a few years. This entry was posted in Glimpses of Our Cities, Reblogged. Bookmark the permalink.